Royal Air Force scouting planes, WW1. 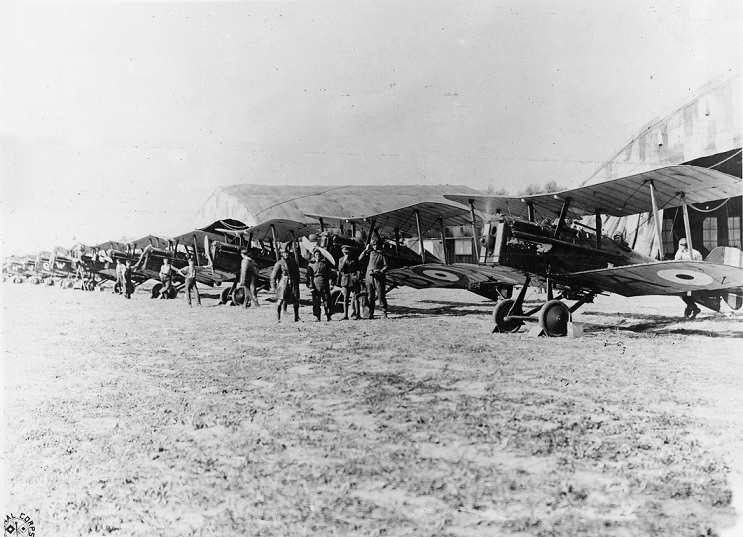 Eleven single-seater scouting planes - S.E.5s and S.E.6As - of the Royal Air Force No. 29 Squadron are prepared in readiness to set out for enemy lines, Oudezee. Explore this index of RAF members who were awarded gallantry medals. Discover your ancestor’s rank, service number and the date he was published in the London Gazette. Each record is a transcript created by Graham Clitheroe. The transcripts were created through information found in the archives and the London Gazette. The detail in each record can vary, but most will include the following. Royal Air Force (RAF) rank – refers to the person’s equivalent substantive RAF rank from 1 August 1919, when the RAF adopted their own ranking system. Gazette – Use this date to search Findmypast’s London Gazette Supplements and discover more about your ancestor’s medal. Awards for gallantry were given to those who displayed acts of exceptional bravery. This collection is focused specifically on members of the Royal Air Force (RAF) and awards given from 1914 to 1919, during the First World War. Awards and medals were often announced in the London Gazette, the official newspaper of the British government. The British Royal Air Force, gallantry awards 1914-1919 includes the names of 11 Victoria Cross recipients. The Victoria Cross is the highest honour that can be awarded. Below is a list of all the medals included in this index. The Royal Flying Corps (RFC) was the first air branch of the British Army. The Royal Naval Air Service (RNAS) was the air arm of the Royal Navy. At the outbreak of the First World War, the RNAS had 727 personnel with 93 aircraft and 6 airships. On 1 April 1918, it was amalgamated with the RFC and the RAF was created. As the air force became more sophisticated, it revolutionised war. The RAF supported the Army and Navy through photographic reconnaissance and tactical air support. The RAF was also used to drop propaganda leaflets in an attempt to demoralise the enemy forces. In the final years of the war, ‘aces’ (fighter pilots with five or more victories) were celebrated at home as heroes of the war and the air force began to be romanticised in popular culture.